Did you know that your cotton pillowcase soaks up moisture from your hair contributing to frizz? As you toss and turn those cotton fibers can also pull at your hair causing breakage. Pamper yourself with a silk pillowcase. It will cut down on the friction and help preserve moisture. Make the investment in a silk pillowcase today! Most shampoos contain sulfates, which are cleansing chemicals. But some of those sulfates are just too harsh for your curls. Choose a sulfate-free shampoo. The next time you shampoo, try a “co-wash” formula which includes shampoo and a conditioner that is loaded with moisturizing nutrients. You should have a conversation with your hair dresser about what shampoo will be best for you and your curly hair. So how often should you wash your hair? Ask your cosmetologist about your hair. But if you have fine hair, you’ll probably want to cleanse every other day. If your hair is thick and curly, you can go three or more days without a wash. Shampooing your hair saps it of its natural oils and can cause your curls to look frizzier. Try to limit washing to no more than twice a week. Your hair’s natural oils, combined with the right product, will make your curls look better with time. The key is to find balance that is perfect for you. Your hair’s natural oils are essential to help combat frizz. A scalding hot shower may feel relaxing, but it strips your hair of those oils. Instead of a hot shower try a lukewarm shower. It will help keep your hair looking its best. Like the cotton pillowcase, drying your hair with one of those lush cotton towels can cause frizz or even breakage. After washing, gently wring out the excess water, then gently wrap hair up in an old cotton T-shirt to absorb moisture. Curly hair is always thirsty for moisture so try a deep-conditioning treatment once a week. Talk to your hair dresser and ask them how often they suggest using a treatment as it will vary depending on your hair. Try one of these secrets Cosmetologists use to condition hair. Whether your hair is straight or curly, long or short, we offer regular tips on how to look and feel your beautiful best in our weekly blog. 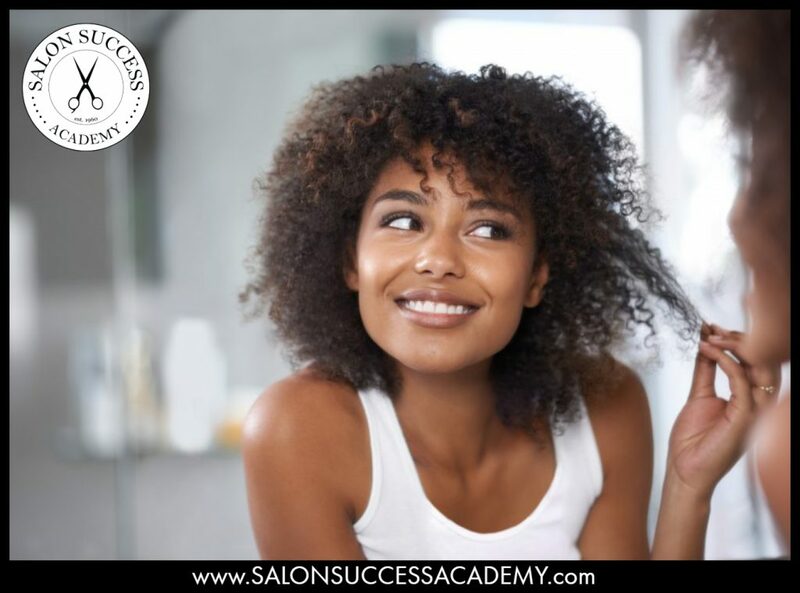 And if you’ve always had a passion for fashion and hair, check out the Cosmetology Program today at Salon Success Academy. Fill out the form to start your dream now.